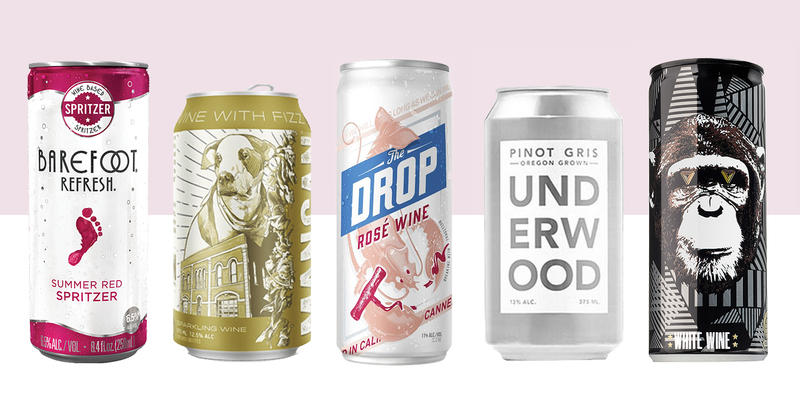 If you haven’t seen wine sold in cans yet, you probably will soon. Cans of wines are an already established and growing trend in the US market. From $2 Million in sales in 2012 to nearly $15 million in 2016. With growth like that it was always only a matter of time before it started growing its market share across the pond. Cans obviously have a huge advantage over bottles in terms of transportability. They are ideal to take to a festival or a picnic, as they are much lighter and less cumbersome than traditional glass bottles and their manufacture leave less of a carbon footprint. In addition to this, 7 out of every 10 cans in the UK are recycled and they take up substantially less shelf space; but what about the flavour? In theory there is little or no difference in flavour between wines stored in glass or aluminium. There is also some argument that cans are a better storage solution in terms of flavour as the wine isn’t aged by exposure to sunlight as it can be in glass bottles. Both protect and deliver the subtle flavors and sensory qualities that winemakers want their consumers to taste. However, wine critics do advise that for the best quality flavour you should ignore the temptation to drink directly from the can, as this will inhibit you smelling the wine and reduce the taste profile. This is the ultimate duality of canned wines, they are designed for convenience, freeing us from the need to carry stemware everywhere, but this will inevitably make the wine less enjoyable. Also, because of the likelihood of drinking straight from the container there is also potential that winemakers will produce lower quality wines, assuming you will not know the difference. Wine connoisseurs however, are always reluctant to change initially, but wine bottled with metal twist caps instead of corks is a common sight now and would have been blasphemy to wine lovers of yester year. People who really care about wine may never be can converts, but for the average consumer, cans have their place. With the global market now approaching $30 million, it would seem that more and more of the wine shelves will be dedicated to cans in the coming years, and more choice and convenience for the average shopper can’t be a bad thing.